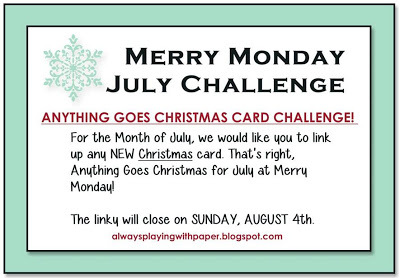 We’re at week 3 of Lesley’s Merry Monday Anything Goes Challenge for July. I’ve gone with some non-traditional colours for my card to mix it up this week. The colours I’ve gone for are Sahara Sand and Tempting Turquoise – a colour combo that I initially thought would be good for a change from my vintage style. 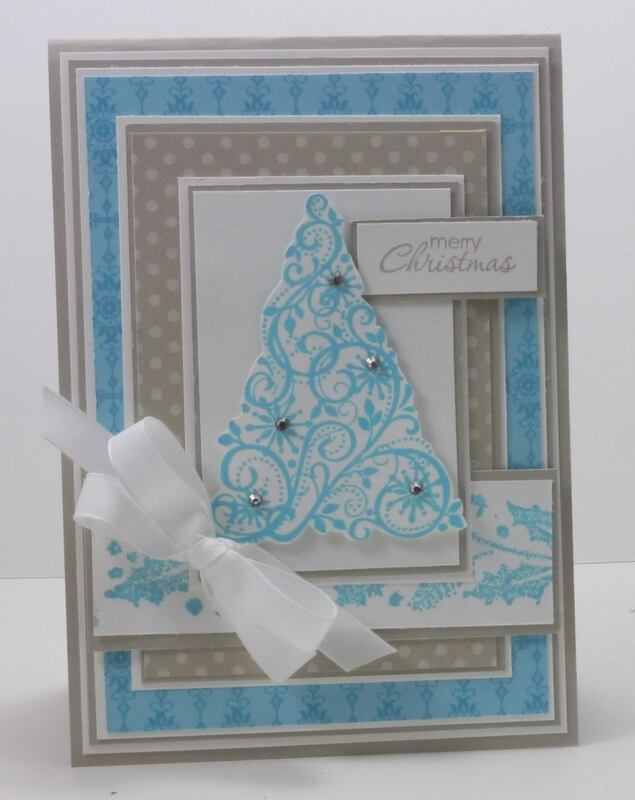 Love these colors for Christmas, Narelle! The tree is so lovely with the rhinestones! Love your colors and all of your layers! 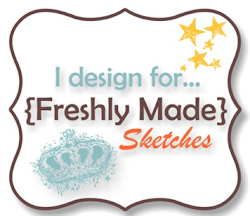 Beautiful card Narelle, I love the colours you used and this stamp is one of my favorites and so elegant. I love this colour combo…still looks wonderfully vintage. I love your style…it is always inspiring.